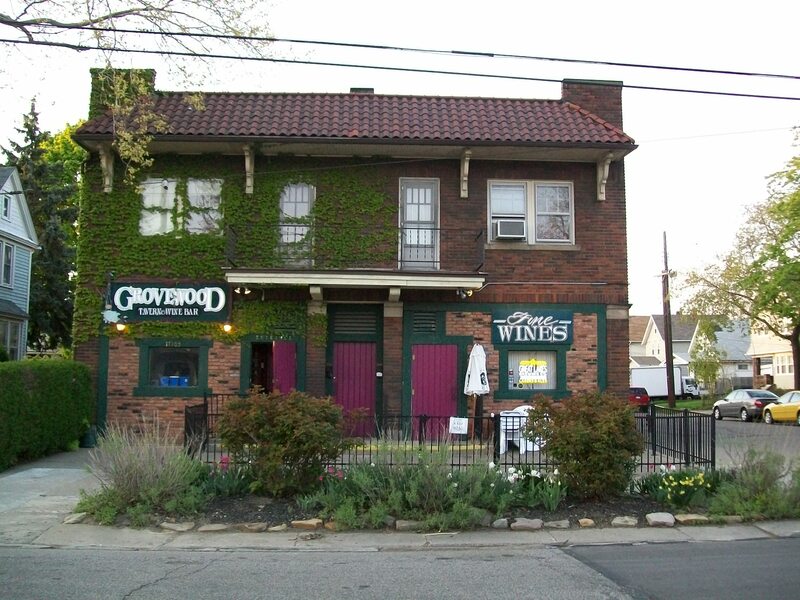 The Grovewood Tavern and Wine Bar is hidden away in a North Collinwood neighborhood. In fact, your first thought when you are looking for it will be “Am I in the right place?” Tucked in the middle of a residential neighborhood just off I-90 (Hint: it’s best to get off at E. 182nd street), the Grovewood has been consistently serving outstanding food and drinks. This is probably one of my favorite restaurants in Cleveland and only 17 minutes from me by car, but I don’t think to go here as often as I should. 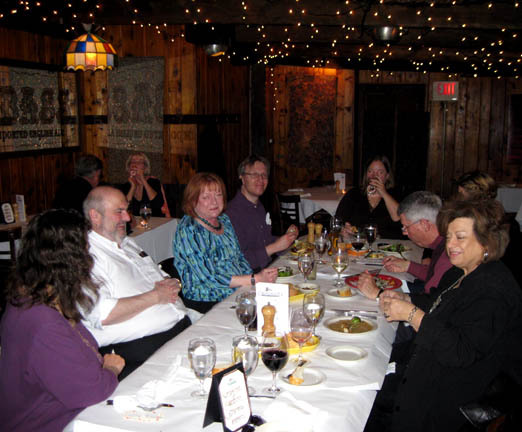 I first discovered the Grovewood in 2009, back when I was still running a dining out group through Meetup.com. Someone had recommended it, and we enjoyed an outstanding meal. Every subsequent visit I have made, whether I’m sitting on the patio or in the dining room, has been outstanding. When you walk up to and into the restaurant, you can see the chefs cooking through the front window. There is a small, cozy bar area behind the hostess station, and the dining room is to the right. The inside feels like a comfy little neighborhood joint, with white Christmas “fairy” lights and quirky lamps hanging down from the ceiling and interesting pictures on the walls. They have an outstanding selection of wine and cocktails as well as a changing menu of beers on tap. The servers are very knowledgeable about the food, wine and beer. Several friends and I met for dinner recently and enjoyed another fantastic meal. Several of my friends are vegetarians, so they were thrilled that the Grovewood has really expanded its offerings for vegetarians and vegans. The first time we were there they only had one or two entrees to choose from. C. raved about the Curried Butternut Pasta featuring roasted cubes of butternut squash with coconut milk, cilantro and lime over pasta, while R. loved the Vegan Beanburger, featuring a huge herb-scented, mixed bean patty, fried crispy and served with arugula, fresh cucumbers, tomato, and Monterey Jack cheese, with house-cut Yukon fries and herbed mayo. As for me, I ordered the Grilled Mini Brie and Pear Salad and the Grovewood Chicken Sandwich topped with sliced, grilled apples; caramelized onions; Brie and toasted almonds, accompanied by house-cut Yukon fries and herbed mayo. I could have done without the toasted almonds, but this sandwich was delicious. The house-cut fries were delicious as well, especially dipped in the herbed mayo and the house-made ketchup (nicely spicy but not too spicy – no Heinz served here!). I will definitely order it again. This time around we shared the Belgian Chocolate Lava Cake and the Caramel Pecan Cake. Both were paired with vanilla ice cream, and were delectable. My dining companions dove into these so fast I was unable to get pictures. However, I have to say my absolutely favorite dessert in Cleveland is served here – Burnin’ Down the House, a chocolate swan filled with fresh berries and flambéed table side (for two), with two dishes of vanilla ice cream. It is one impressive dessert! You really can’t go wrong ordering anything off the menu here. From the Yakitori to the Seared Tuna Loin (pictured here) to the Ohio City Pasta and gnocchi to the burger, everything I have had here has been outstanding. The only thing I am not a fan of is the bread service. 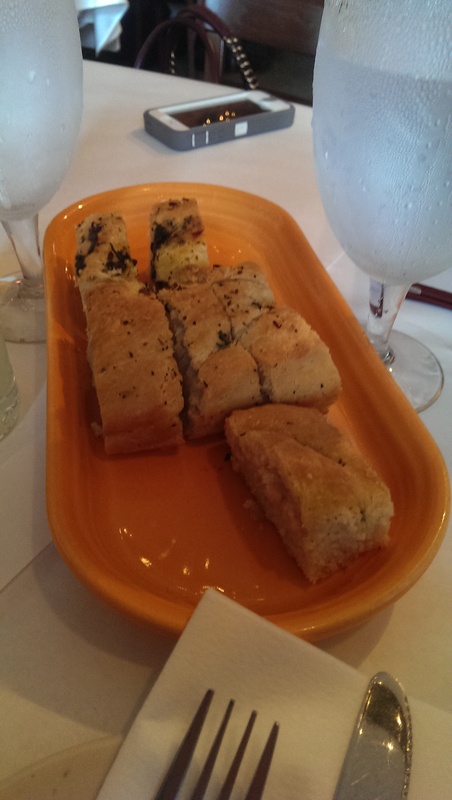 The bread is very flavorful, but somewhat dry. They serve it with a dipping sauce with olive oil, roasted garlic cloves and balsamic vinegar that just doesn’t work. The sauce doesn’t blend well, and you can’t really taste the balsamic. But on the bright side that just leaves more room for the rest of the food. I attended a Mad Men Spirit Dinner here back in 2010 that I still remember fondly. People dressed in reminiscent dress, which was a lot of fun. The spirit dinner was hosted by North American Spirits and featured nostalgic cocktails such as a Manhattan made with bacon-infused bourbon (not the most stellar cocktail of the evening, but certainly the most unique) or a pear mule paired with complementary courses. It was outstanding from start to finish. In fact, I made the grilled brie salad with pear vinaigrette for Christmas that year (they gave us some recipes to take home with us). It received rave reviews from my family. If you get a chance to attend one of the spirit, beer or wine dinners you should definitely do it! 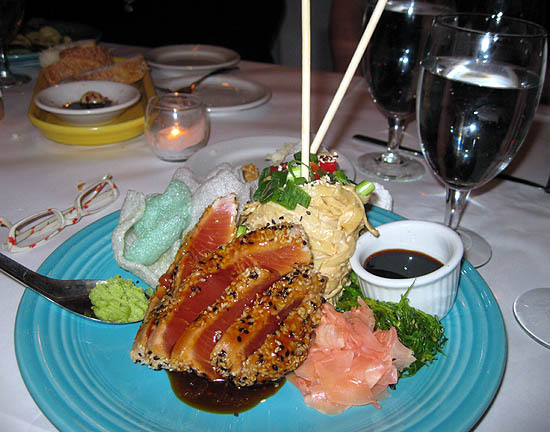 Reservations are a must, and they tend to sell out quickly. I was just at this place last week. My co-worker and I had an hour to kill so we were Googleing places to go for a glass of wine and we found this place. It was amazing, I definitely want to return. I always wanted to try this place but have never actually been there. I will have to put it on my list for the coming year.